The Ancient Town Of Myra In Turkey. | Travel Photography Blog by Nisa Maier and Ulli Maier. On our recent road trip through Turkey, we were more than once overwhelmed with the variety this country has to offer: The Turkish Riviera with its crystal blue sea and hidden beaches, those large freshwater lakes that invite you to go for a swim immediately, and the various ancient sites along the way. We enjoyed Turkey right from from the start and knew that we’d see lots of amazing places on our 10-day trip. 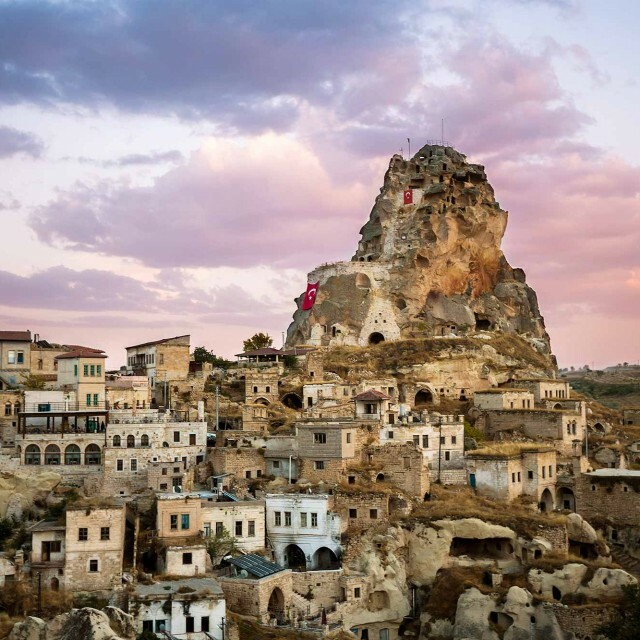 Apart from the well known areas like Cappadocia and Pamukkale, Turkey has a lot more to offer. The ancient city of Myra was one of these sights. Early morning is always a good time to visit such spots because your typical tourist tends to sleep longer when on vacation, so therefore all these must-see sights are mostly deserted in the mornings. And for us as travel photographers, the morning hours have a far better light anyway. A Place Where History Can Be Felt Every Step Along The Way. Myra once was the capital of Lycia until it lost a battle in 800 AD. Terrible plagues, Muslim raids , earthquakes and floodings did the rest and in the 11th century, Myra was finally abandoned only to be rediscovered in 1840 by Charles Fellows – an famous British archaeologist. So we were the first ones to arrive there, and had the place completely to ourselves. 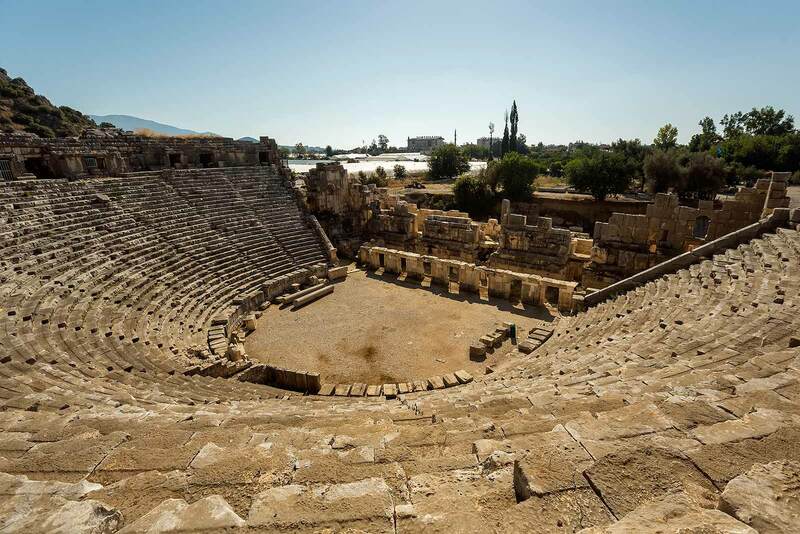 When standing in the half circle theatre, the largest theatre in Lycian times, one can really imagine how it must have felt, when the crowd cheered. The theatre is impressive, but the rock hewn tombs behind it even more. 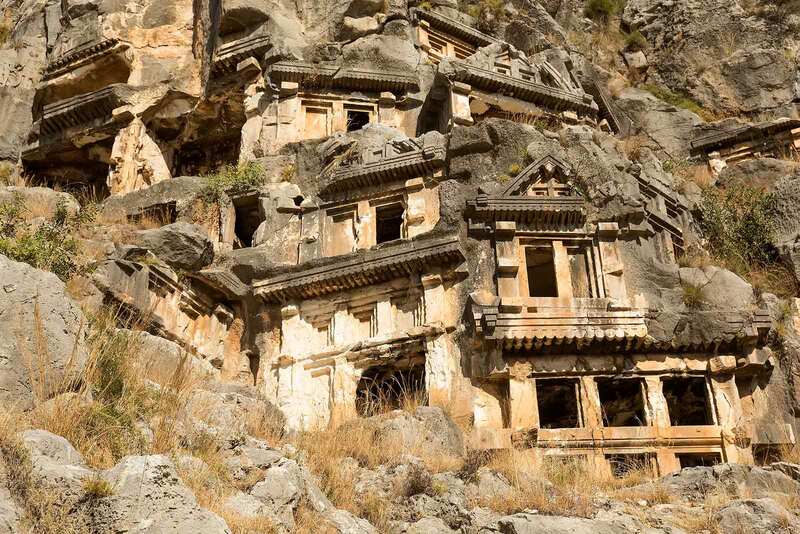 There are two necropolis of Lycian rock-cut tombs in the form of temple fronts carved into the vertical faces of cliffs. The entire site is really well preserved, which is perfect for your imagination of those ancient times. Myra is a relatively small site and you’ll be done within an hour, but nevertheless it’s well worth the trip! It’s best to visit the ancient ruins of Myra early in the morning, because that’s when you’ll have the place to yourself without hordes of tourists. 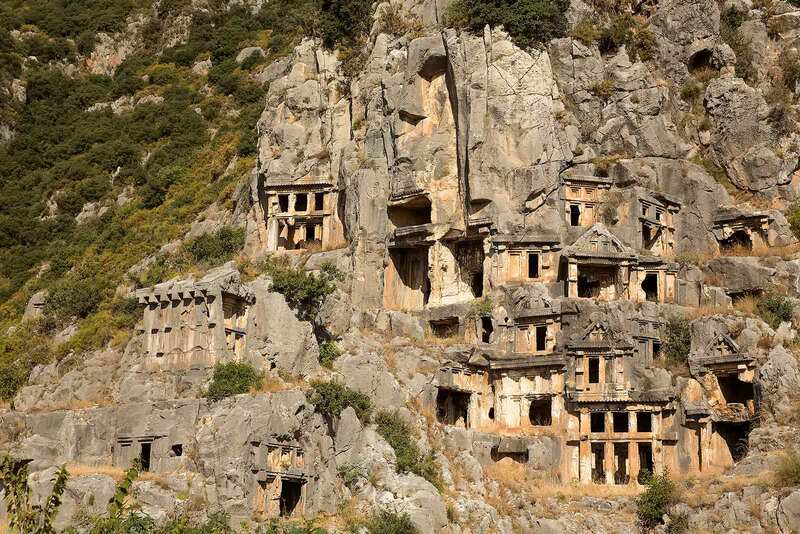 All pre-Greek people of Anatolia built beautiful monumental tombs. 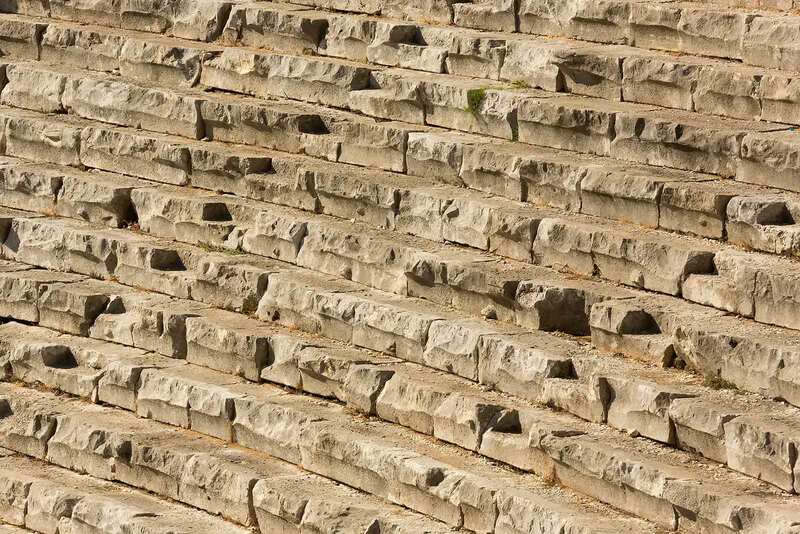 The Lycians developed this form of art to perfection, no doubt facilitated by the soft limestone of the region. 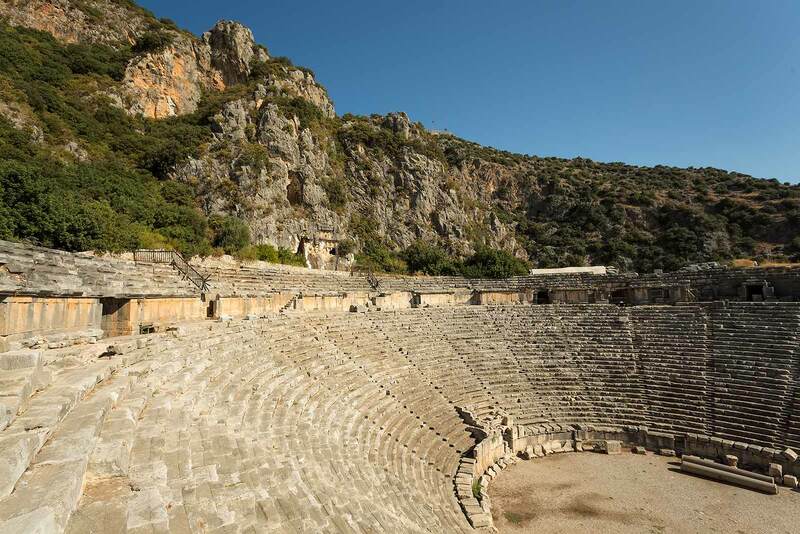 The main attractions at Myra is the large theatre which used to sit up to 13.000 people. Wow, thee photos look amazing! 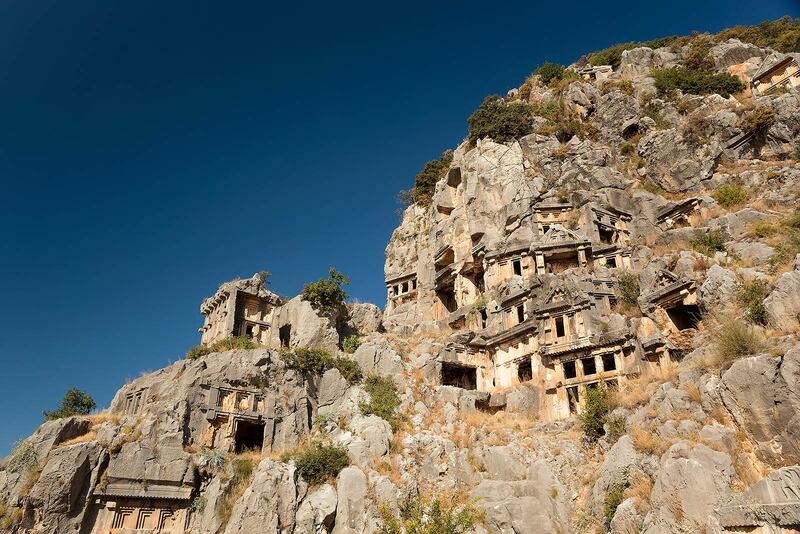 I am traveling to Turkey in two months and also hope to visit Myra. If it is even half as impressive, as it is on these photos, I surely won’t be disappointed. Hey Selphur! Thank you for your lovely words. Myra is really impressive, due to the great atmosphere. But try to get there early in the morning to avoid the crowds. Have a great trip! Definitely Besem! Pamukkale and Dalyan are beautiful places in Turkey. 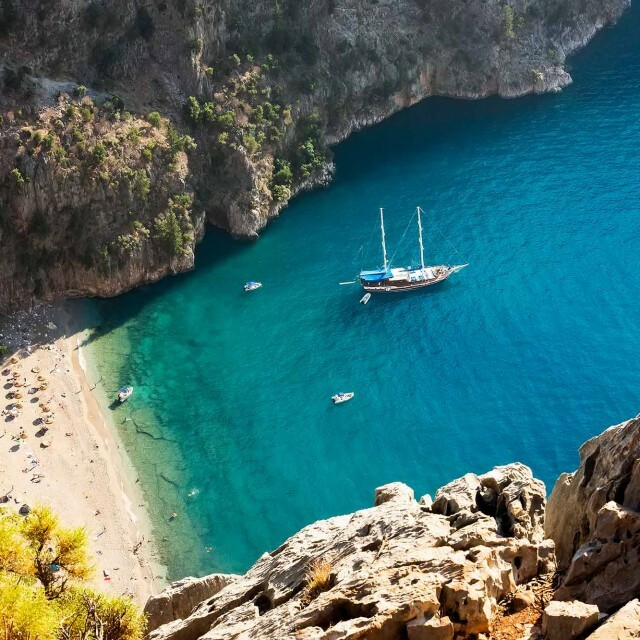 A Beach Vacation Along The Turkish Riviera. 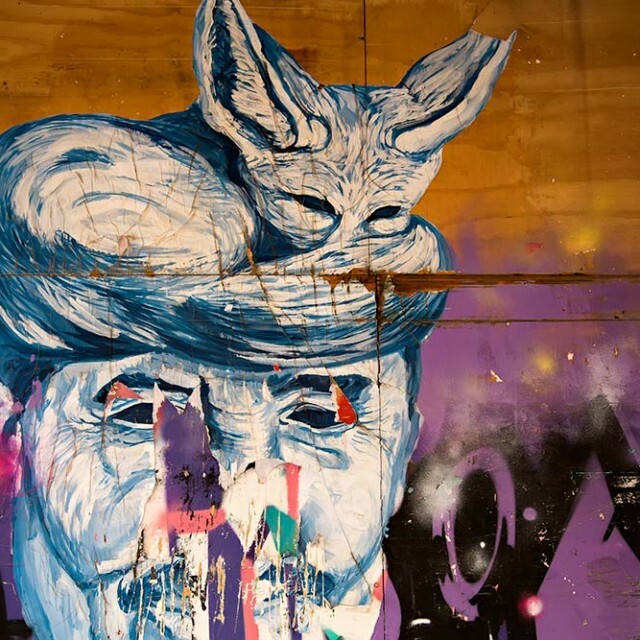 Street Art In Istanbul, Turkey. 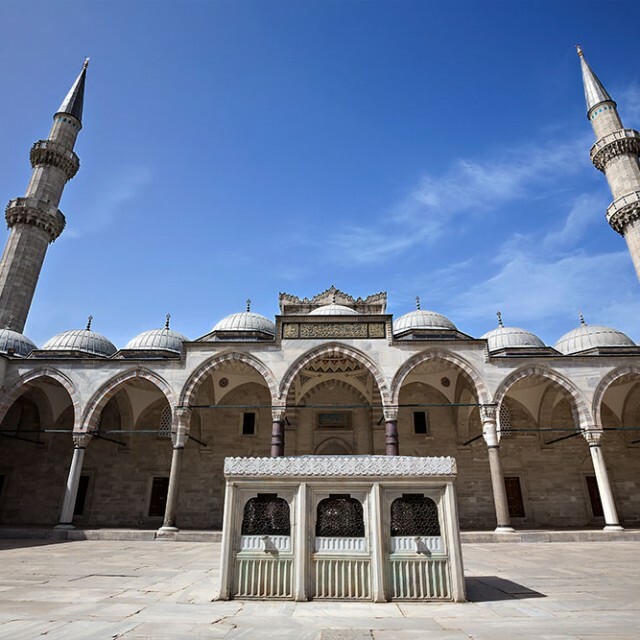 Why I Found Süleymaniye Mosque The Most Impressive In Istanbul.